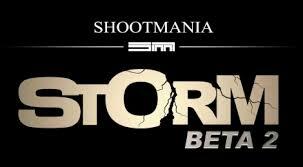 Ubisoft just announced the release of ShootMania Beta 2!!! 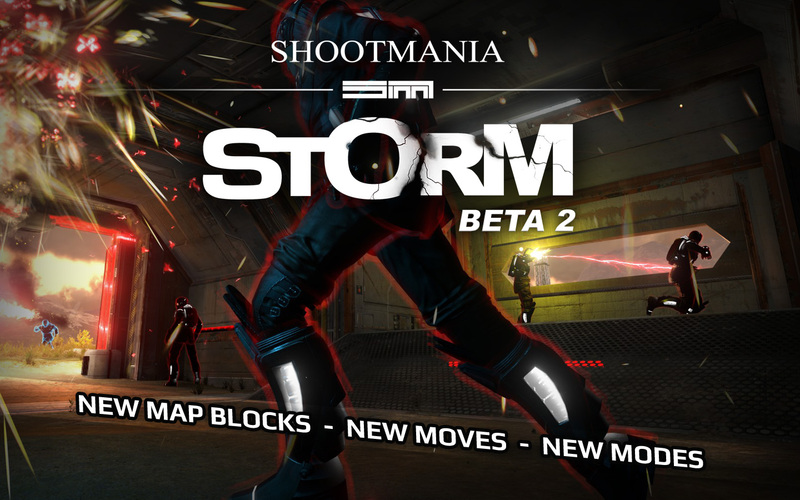 Download it now to enjoy the new Wall Jumps, Grappling Hooks, Charge Shots, new map blocks and more! Nadeo has been working hard for several months making performance enhancements and adding these new features. Enjoy the next level of awesome. 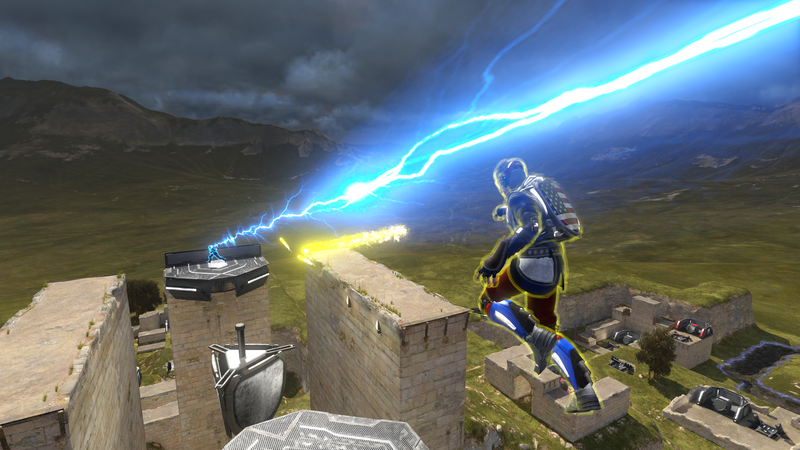 NOTE: Users of temporary beta keys will no longer have access to the game with this new release. You will either need to purchase the game or get a new beta key. 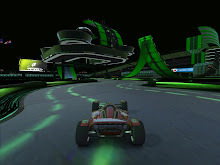 On another excellent note, Nadeo confirmed that LAN play is coming back for both ShootMania and TrackMania 2 before the official release of ShootMania on 23 January 2013! Team FNG logo looks awesome. Stay tuned for the official Team FNG player skin. Those Friday Night Gamers that "Pew Pew"ed and raced TrackMania together last night, experienced my Mumble dilemma where I connected and kept getting kicked off. I wanted to let you know that I tracked down the problem; and it was my epic newbness. Read all about my Mumble fail on my Tech Support blog. If I ever have this problem again in the future, remind me to disconnect myself on the work computer; then mock me profusely. 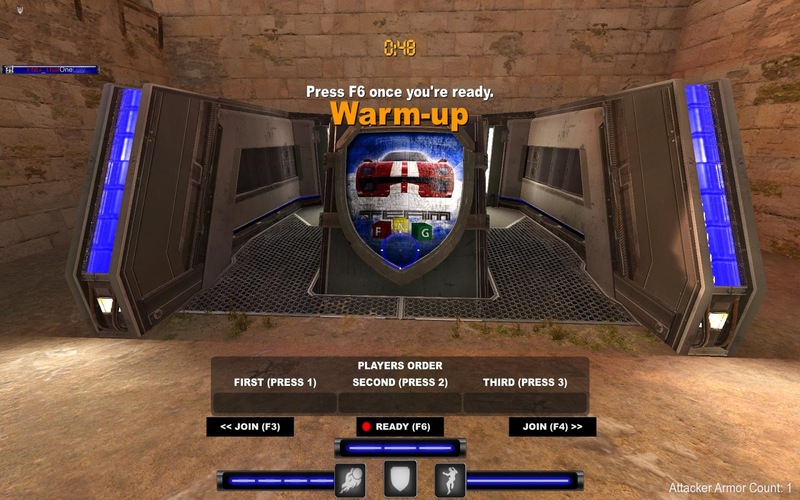 Thundr has been working on porting our Team FNG logo into ShootMania. 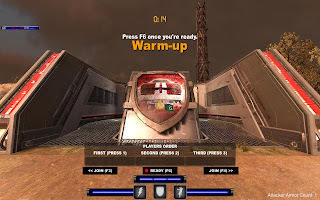 Unfortunately, you have to have this file on your own machine to see them in-game, and they'll show regardless of what server you're in, but Nadeo has told me that they are working on making it server-based in the future. Love it! Thundr is also working on a Team FNG skin, so stay tuned for it. While playing a little "Pew Pew" (ShootMania) at lunch the other day, we had some epic rounds with some funny finishes; including this one on the "KILL DEATH MATCH" map by Sammon. As we went back and watched a few of the replays, I captured this cool screenshot using the in-game editor. 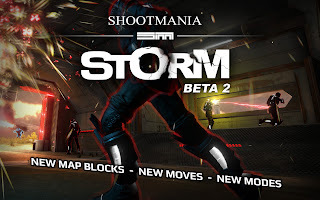 Beta 2 of ShootMania Storm should be made available next week, and Nadeo and Ubisoft have highlighted some of the new features in this awesome trailer. I can't wait to see how the charge shot works. 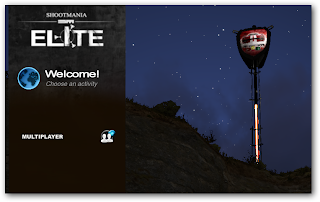 The grappling hook and wall jumps are going to be a blast too. 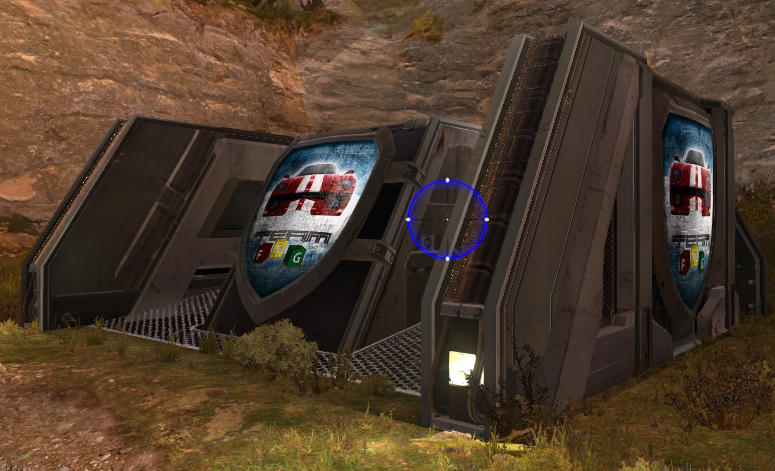 And I'm excited to see how much creativity explodes in new maps thanks to the custom object importer; especially ones from our own SpeedMonger. Buckle up, it's going to be a sweet slide... er... ride. A cool thing happened to me when I went to PAX last September. I encountered a representative from Plantronics at the ShootMania booth. He had been looking for an Ubisoft employee to chat with, but since I was a rep during the show, he thought I'd be a good one to talk to. 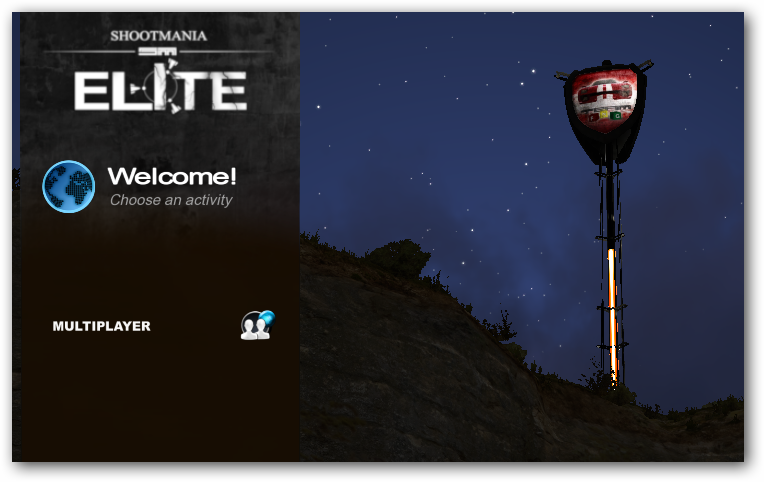 I explained to him that I'm just a ManiaPlanet community member that has been working with Ubisoft for over a year in regards to ManiaPlanet; and we had a good conversation about ShootMania, TrackMania, Ubisoft, and GEEX, and Team FNG's involvement with all of them. He was pretty excited, and offered Team FNG some trial GameCom 380 headsets to experience and review. We received them unfortunately just after our most recent LAN party, which would have been an epic time to give them a go together as a team. I have distributed a handful of them to other Friday Night Gamers and hope they will chime in with comments on their impressions of the headset. I have always been a Plantronics fan. I have used their headsets for business purposes for years on phones. A few years ago, before I had bluetooth in my car, I used one of their bluetooth sets for my mobile phone. And most recently before the GameCom's I've used a pair of non-gaming Plantronics headsets for my gaming and have enjoyed them all. For comparison, the current non-GameCom headset I have fell in the $50 price range; so I didn't expect a whole lot different as far as quality was concerned with the GameCom counterpart. I am happy to say I was proven otherwise. Next comes the microphone. It is a boom mic that sits away from your face, and can be lowered to about chin level. It has limited flexibility, and I'm not sure that it's ability to bend is for "forming" it, as much as it is to prevent breakage from attempts to bend it. The microphone is very sensitive, and can be adjusted through your sound card settings and/or Windows Recording Devices settings. The sound quality is as good as any other Plantronics devices I've used. One thing I really like about this headset is the ability to control the volume and mute with a dial and switch on the back of the left ear. My other set has a volume/mute control dangling from my cord and I frequently found myself bumping mute, then talking to my crew only to not have them respond. One drawback for me was the cord and plugs on this headset. The cord, while thick and durable, is short; I'm guessing 3.5 - 4 feet long. This is fine if you're playing on a laptop with accessible audio jacks in short distance, or sitting near a desktop with front-panel access, but limits you movement-wise. The pro is that you won't have a cord so long you're running over it with your chair (which I do often with my other Plantronics headset.) I was going to give a -1 on the cord length, but not rolling over it with my chair is a +1, so it's a wash. The final thing I'm not as attracted to are the 3.5mm audio plugs. I'm not going to ding Plantronics for that, because some people prefer them, and having it this way, you can use your set with other things besides your computer; like a mobile phone or tablet, mp3 player, etc. If you prefer USB, look into the 780 model. Now the important part... the sound. I was impressed by the GameCom 380 sound. As I mentioned before, I wasn't expecting much different than the non-GameCom Plantronics headset I already own. However, these definitely have more bass than my prior set, and it definitely feels like the GameCom headset has much more of an ambient feel. With games that handle positional audio, I feel I can sense more positioning in this headset than my other. The sound is good quality, and even better depending on the hardware you are plugging it into. 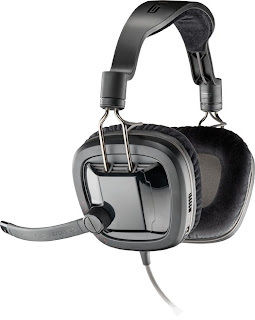 I would highly recommend this headset for those that are looking for a good headset/mic combo in the $50.00 price range. I would also recommend taking a look at the next model up, the GameCom 780 which are in the $80.00 price range. I like the sound on the 380's enough to try the 780. The 780 adds 7.1 surround sound through drivers that come with the set, and the USB sound card attached to the set. Rear-left-ear volume dial and mute switch for easy control of your sound. Team FNG wishes to thank Plantronics for generously donating these trial headsets to our crew, and we hope you'll try them out if you're in the market for a great $50 gamer headset. My good friend Eyebo spent 12 hours today making this incredible TrackMania 2 video, made up of clips from many different TM2 trailers; including the Canyon, Valley and Stadium environments. Excellent job Eyebo, and thanks for sharing!